Sled dog training facilities camp offering 45 km of world class training trails. Camp Dannevall offers you world renowned sled dog training facilities. 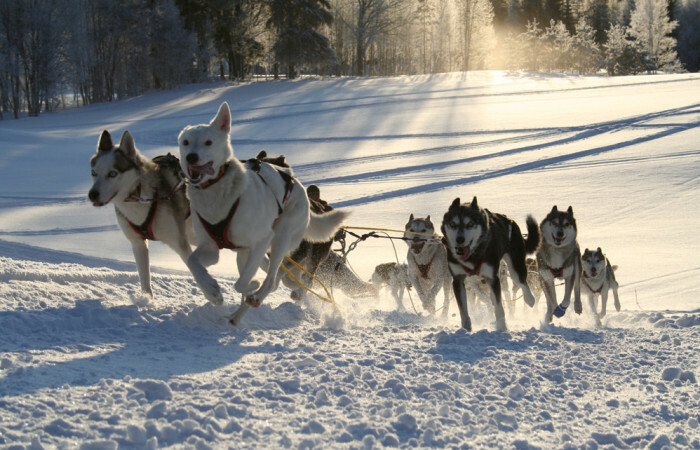 We offer our mushing guests use of the dog kennels as well as our expansive training system that guides you through the winter wonderland of Jämtland. Our 5 star trail system offers routes between 5 km and 45km off well maintained trails where neither dogs nor musher can get lost and you don’t meet head-on passing teams. 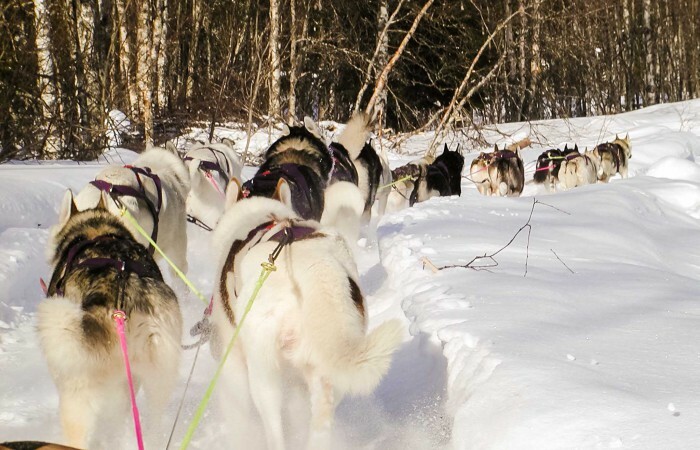 We offer a variety of trails suitable for the beginner to the more experienced mushers. The trail is prepared after every snow fall and if you train your sled dogs for long distance races, we can prepare the trails for deep snow conditions. You will get a GPS map over the trails at arrival and then it’s just to follow the signs. The trail is made so you can go 45km without being at the same place twice and then you can decide if you want to circle around again and do the loop twice for a longer run with the dogs. We offer different rates and are able to accommodate those looking for a longer term stay with us to have proper use of our trails system. It is quite often that we have mushing guests staying for a few weeks up to a few months. Check out our accommodation page for more information about staying with us (see the button link below). Access to our trails is included in the winter accommodation rates. Let us know if you are interested! We even offer courses for those who are just starting out or want to improve their skills. 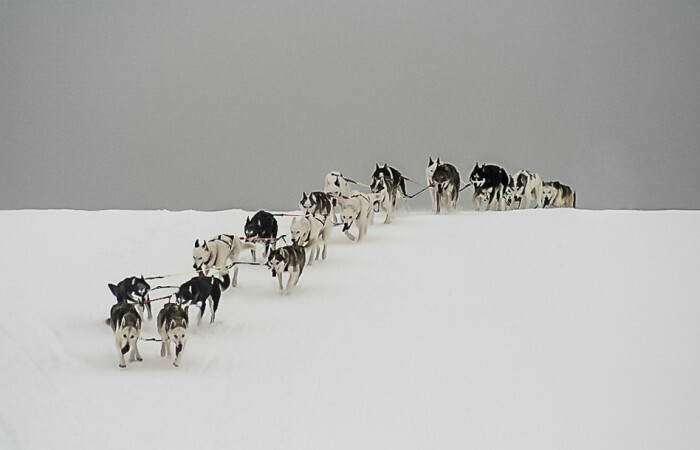 Choose between our beginners level, somewhat experienced or experienced musher courses. Your instructors will be your hosts, Nina and Kjell who together have more than 40 years experience in sled dogs and racing on an International level. but still remember all the mistakes that they made when we were at the beginner’s level and can guide you away from them. At all courses you will get material, video and a scrapbook from your stay here. The camp is located in beautiful Jämtland county along the Långan River. We are not far from Krokom and Östersund as well as being a quick ride from the Åre-Östersund Airport. Are you interested in booking or receiving more information? Click on the yellow button and send us a note. We will get back to you with more information.